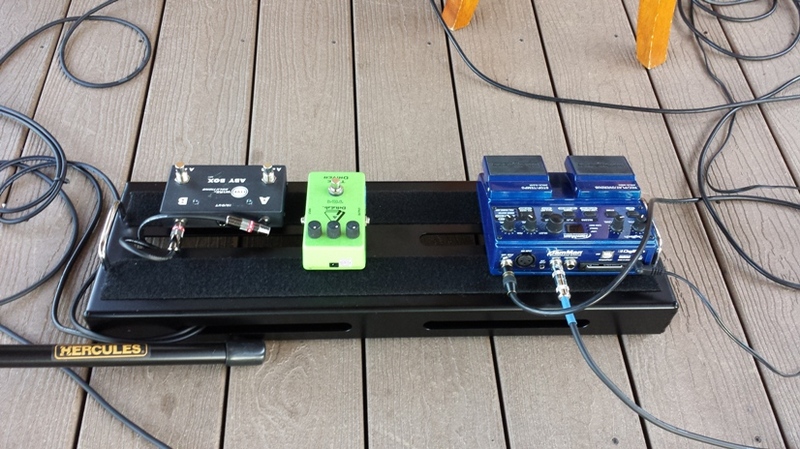 Click on + signs for details. 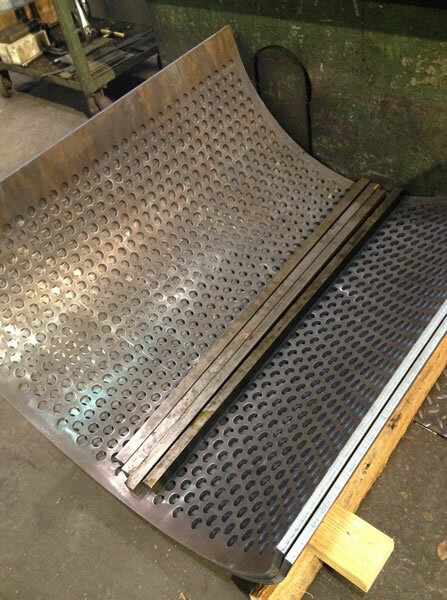 Custom makes a wide variety of separation system components for various industries including: Electrical power generation, gas exploration, marine and oilfield. 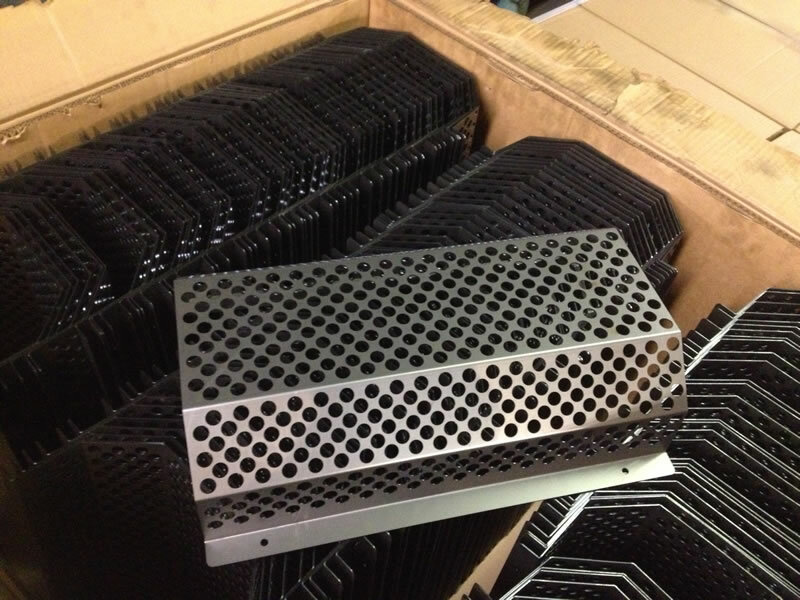 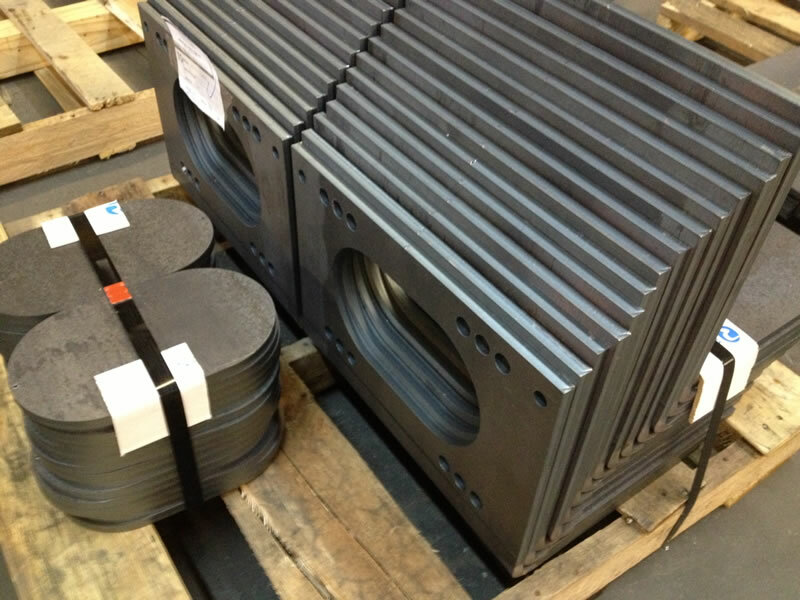 Products include: Vanes and Vane Spacers, Cartridge Type Filter Supports, Panel Type Filters, Separator Frame components, Tubesheets & Vessel Parts. 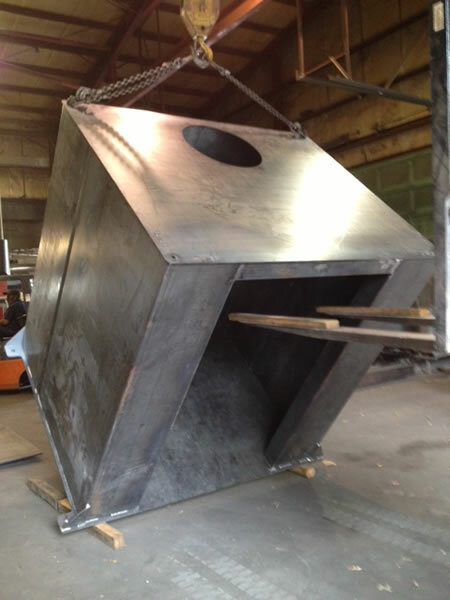 Custom makes products that help keep homes comfortable and commercial buildings productive. 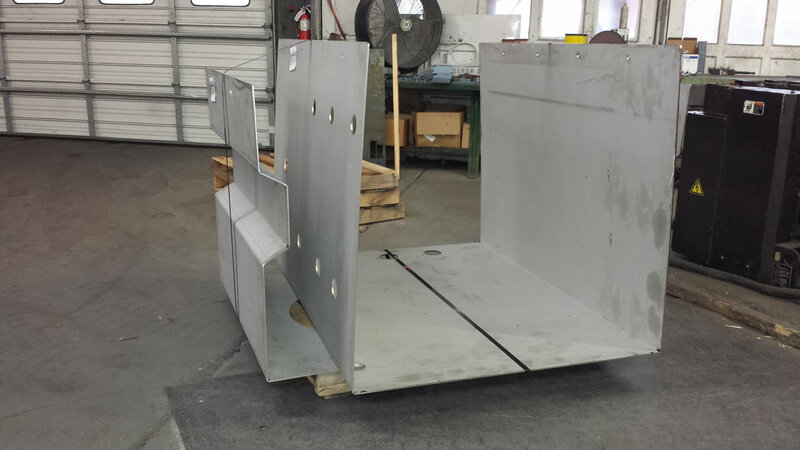 Products include dock leveling hardware, garage door parts, attic ventilation parts, custom signage, industrial ventilation and fire suppression cabinets. 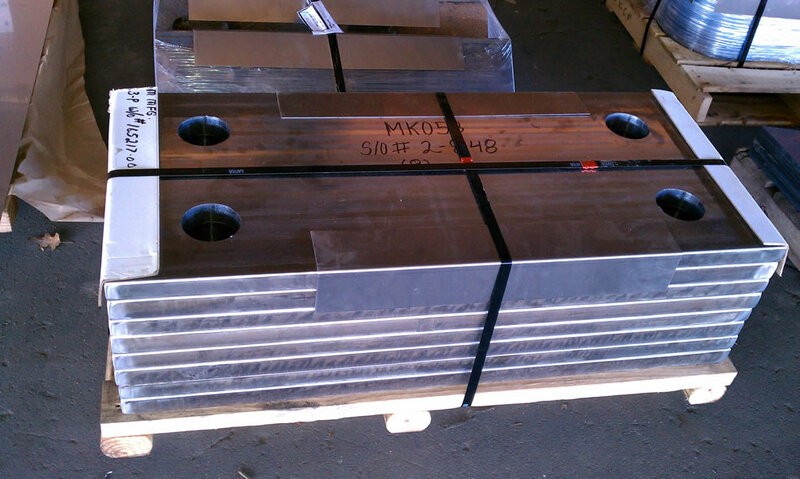 We also make high end furniture, staircases, railings, gate hardware, fixture and countertop parts. 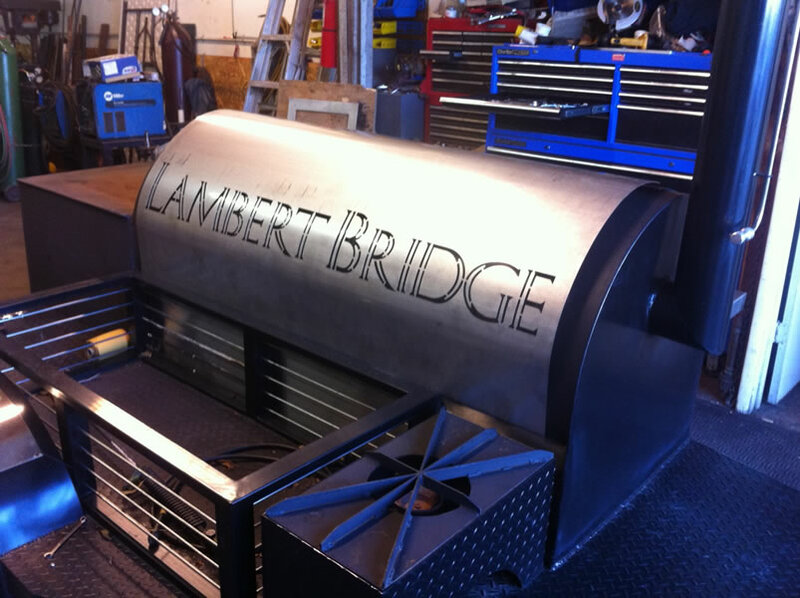 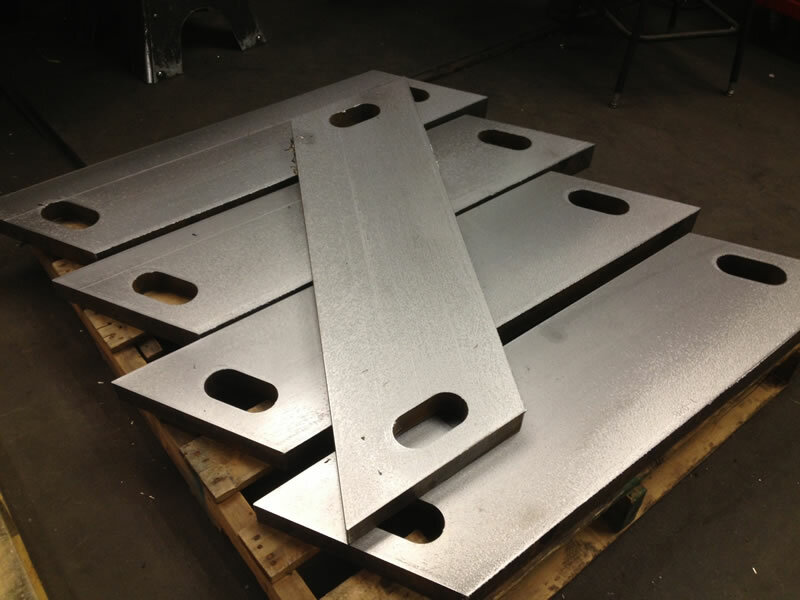 Custom makes parts that go into heavy trucks & trailers. 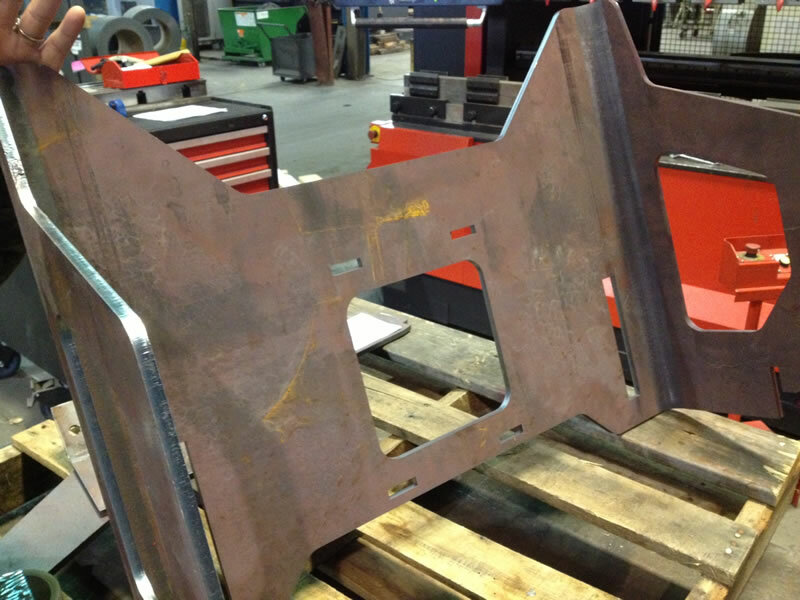 Parts include suspension and axle parts, frame component fabrication, heavy duty bumpers, brackets, and dump tees. 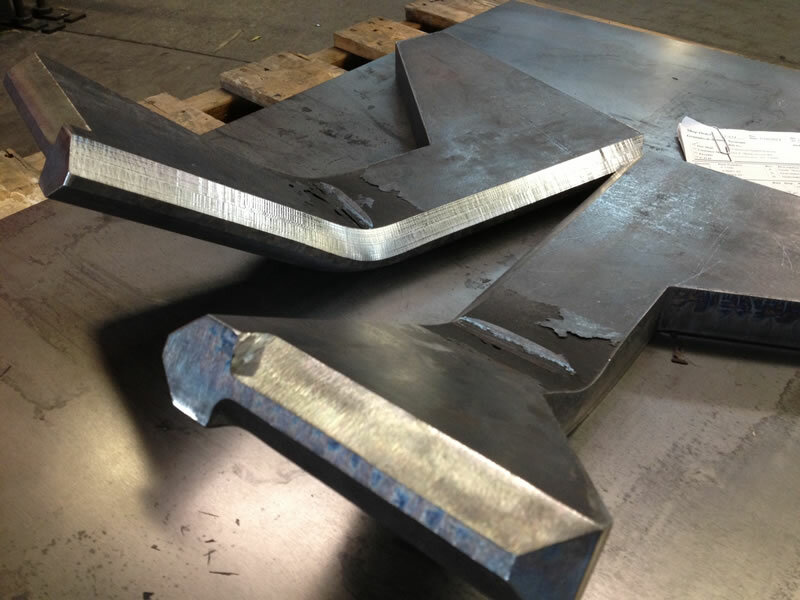 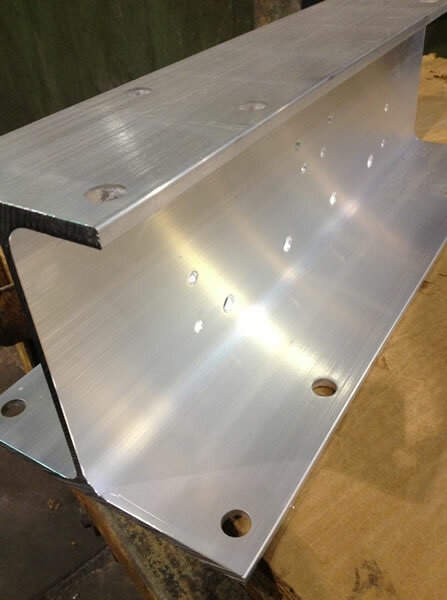 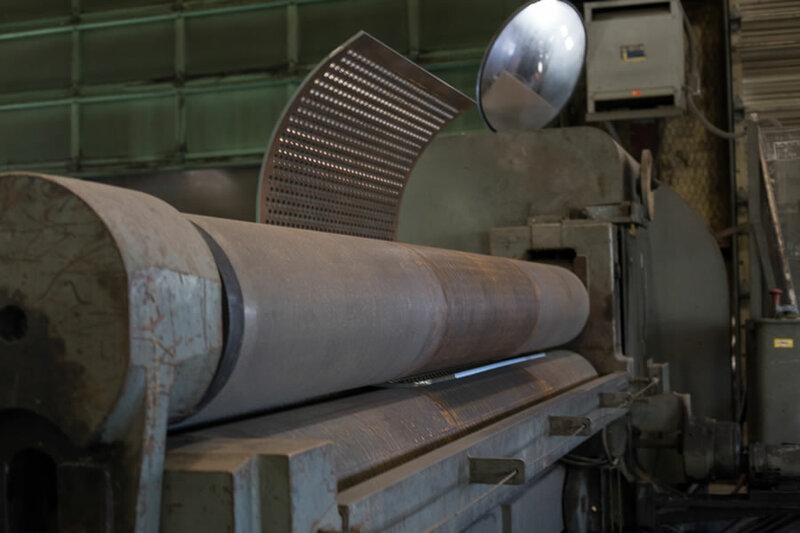 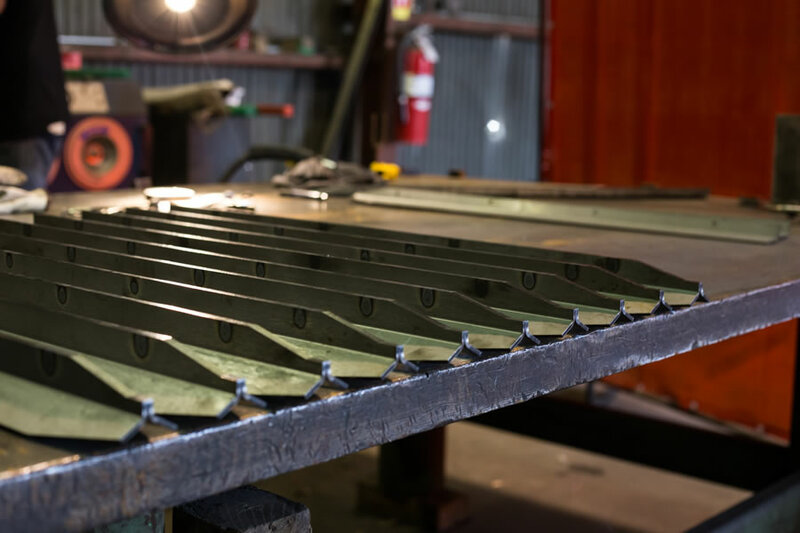 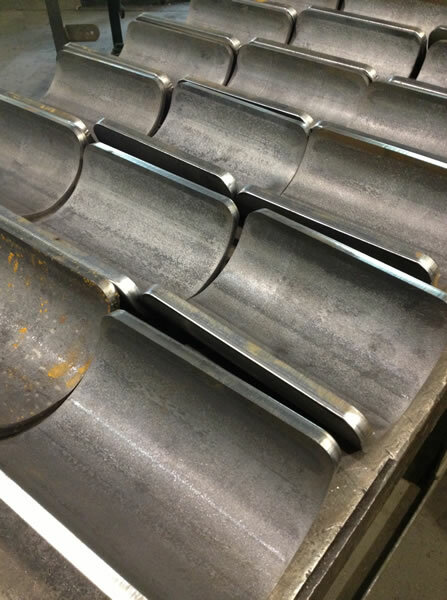 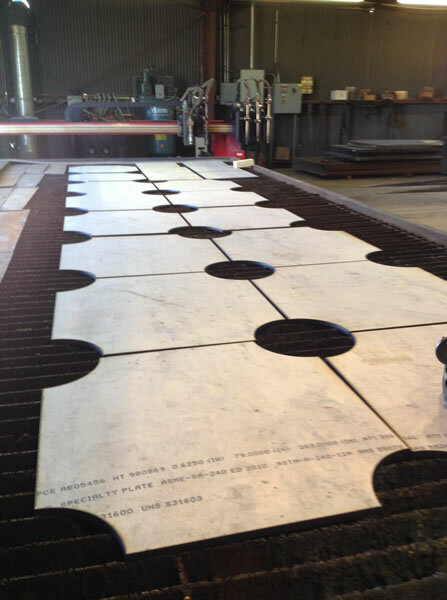 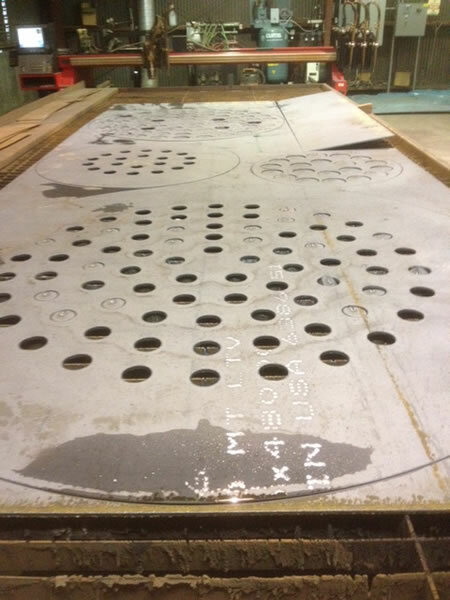 Custom makes many of the components for the specialty machines built to find and extract natural resources. 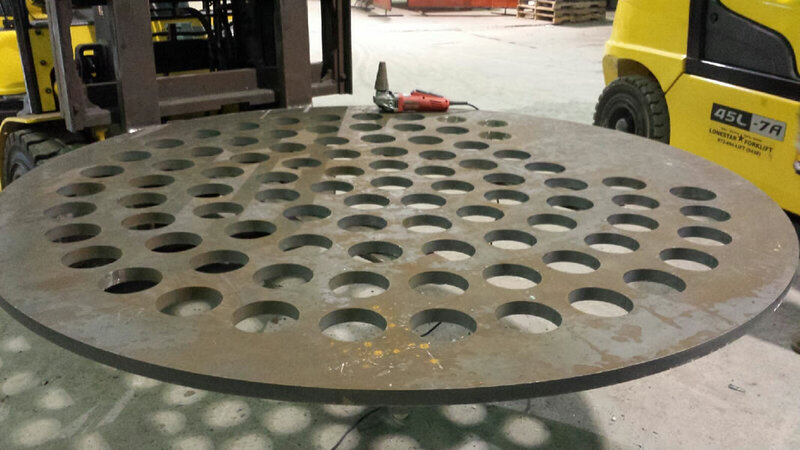 Parts include specialty drilling and frac trailer hardware, scraper trailer frame parts, valve components, dump tees, signage, separation systems & pipeline dampening hardware. 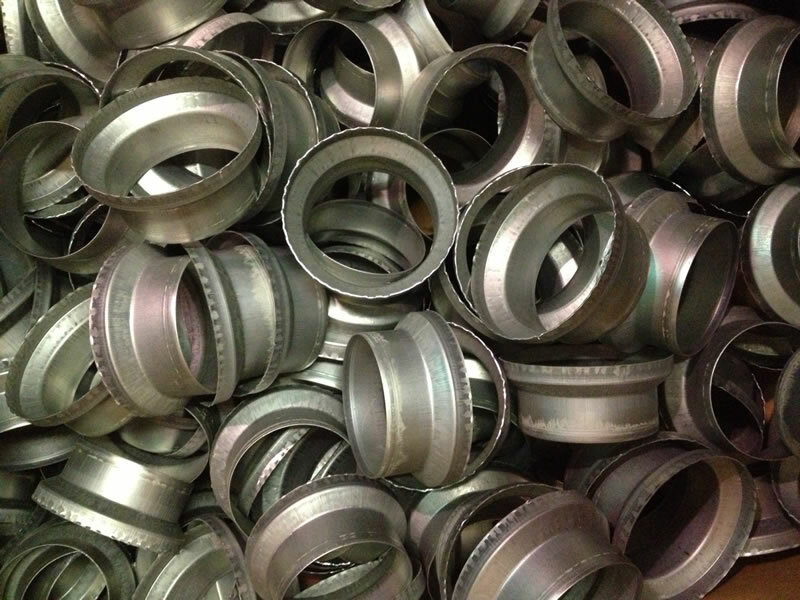 Custom makes parts for the machinery that makes recycling possible. 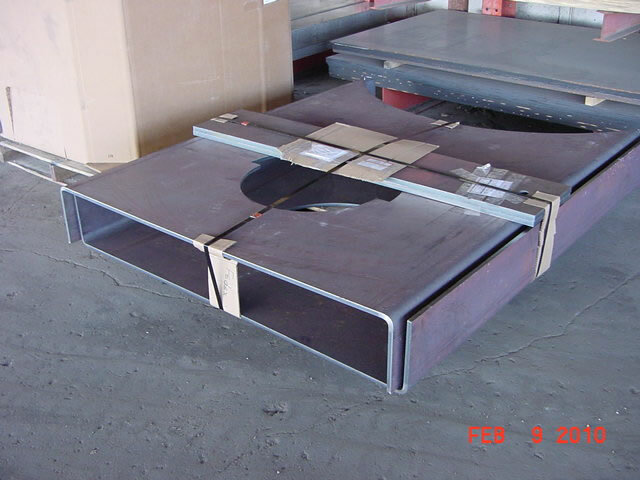 Parts include AR500 screens, chute parts, frame components for car logging machines, and other assorted hardware. 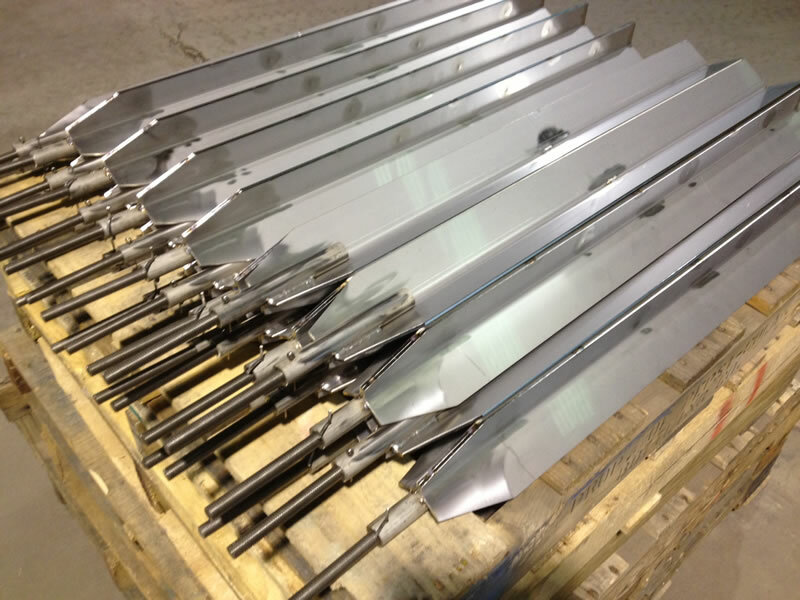 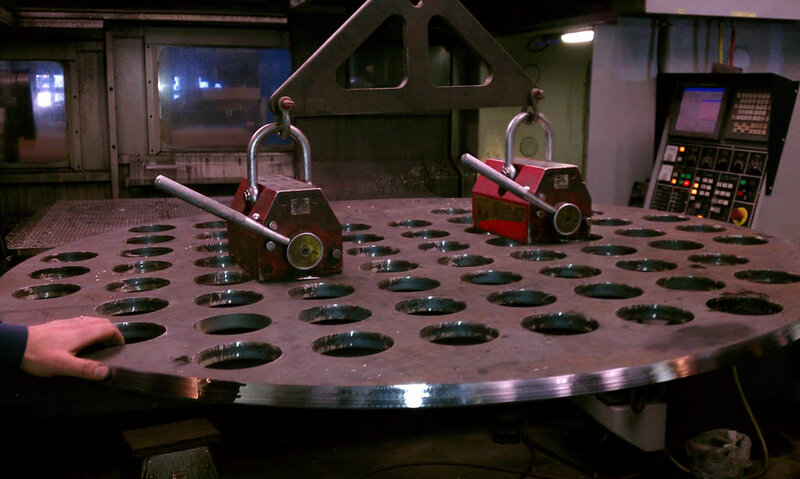 Custom makes end of arm tooling for hydraulic cylinders. 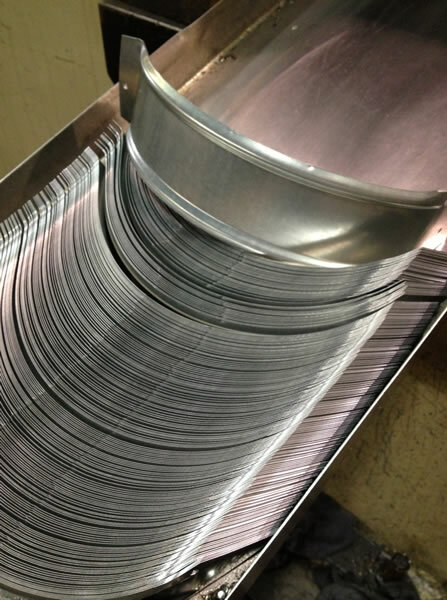 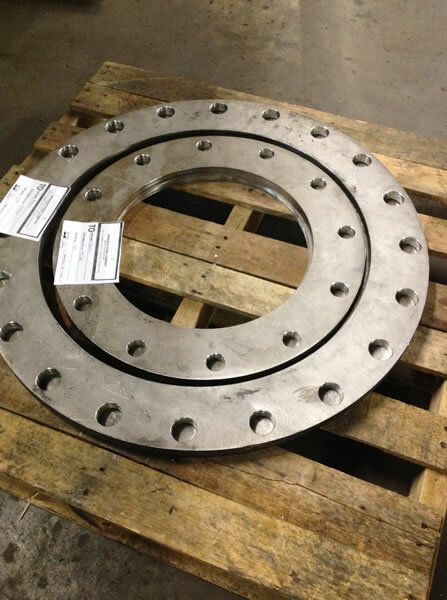 We manufacture a wide array of clevises and lugs for various hydraulic equipment manufacturers. 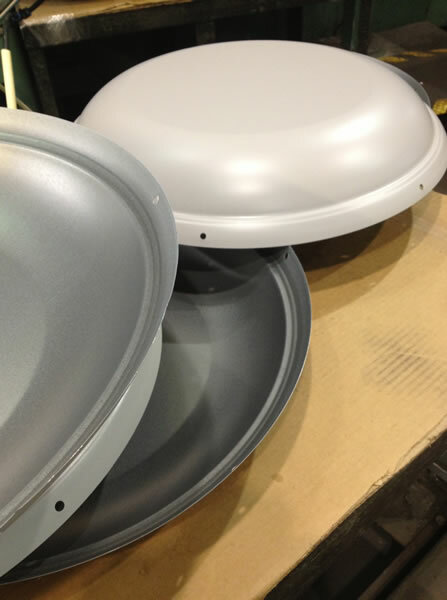 Custom makes a vast array of parts that help build and repair our nation’s buildings, roads and communications. 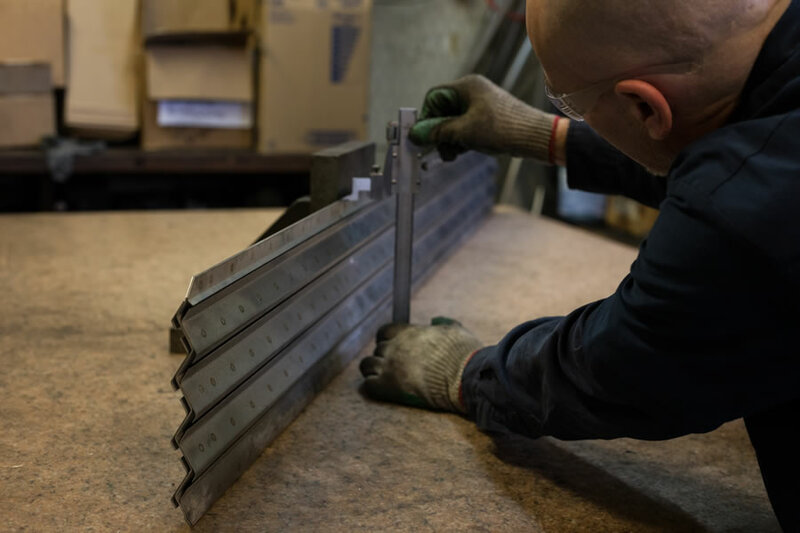 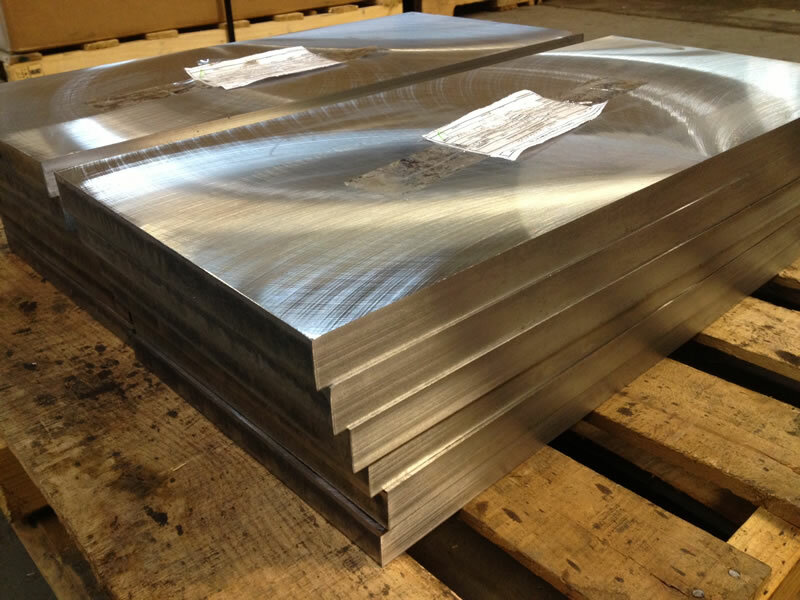 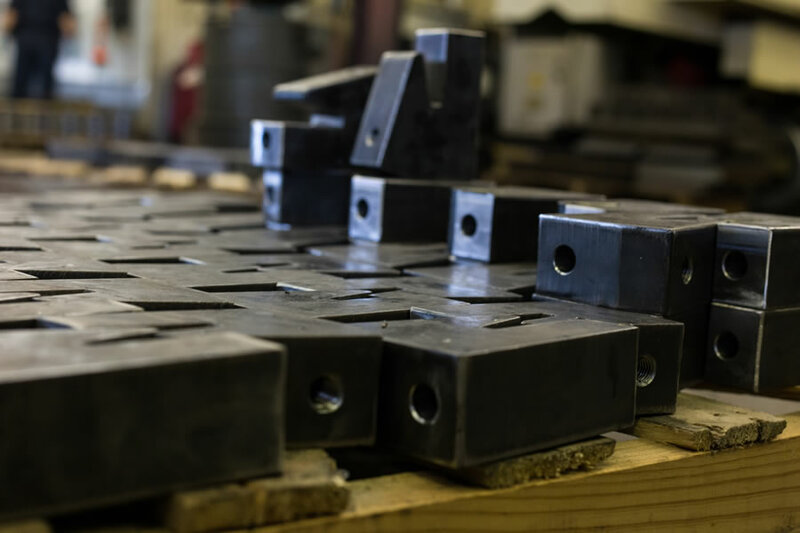 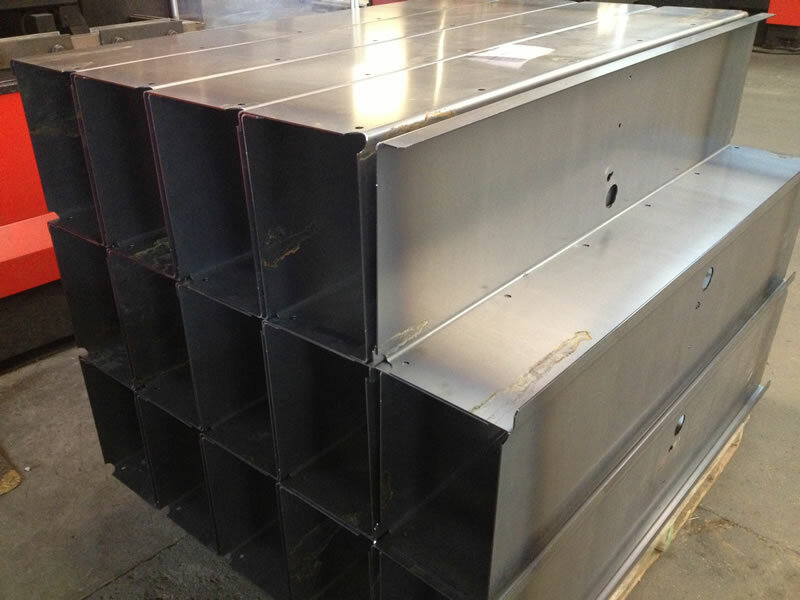 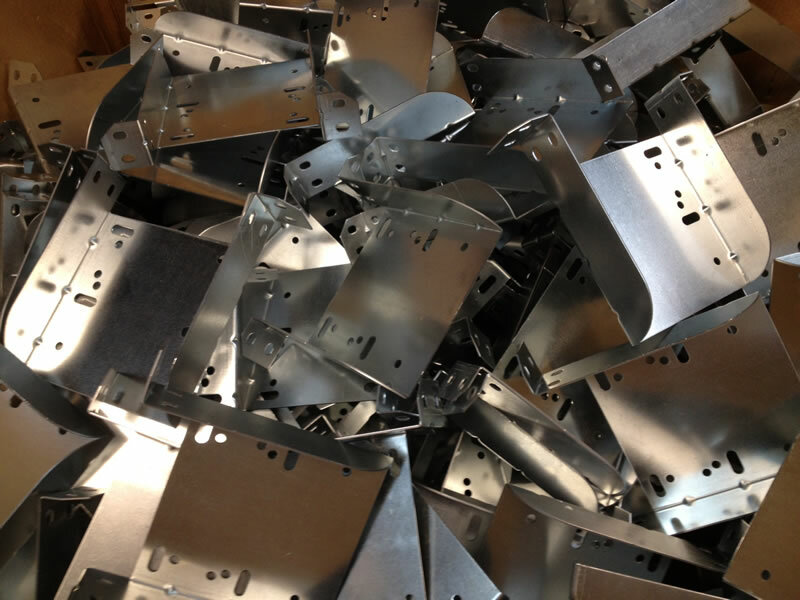 Parts include plates and shims for seismic isolators, plates and shims for bridge and building bearings, slide bearings, bucket liners for excavators, highway concrete forms, parts for wastewater treatment facilities, and telecommunication rack parts. 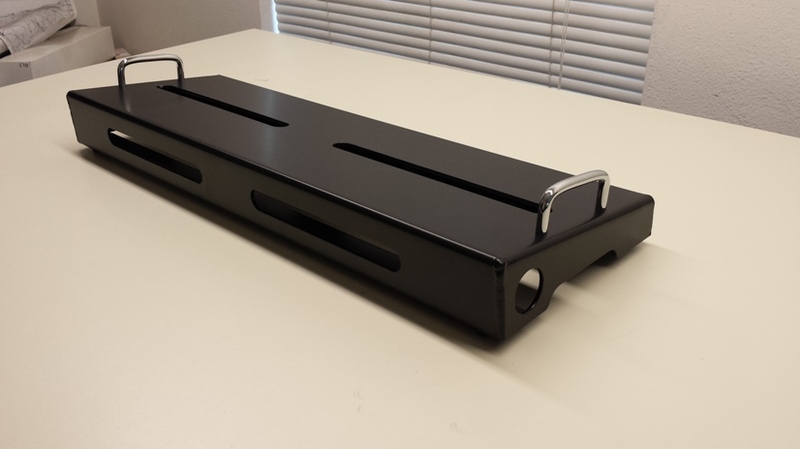 Custom makes specialty stanchion poles and bases, sign holders, specialty brackets and custom signs for the trade show industry. 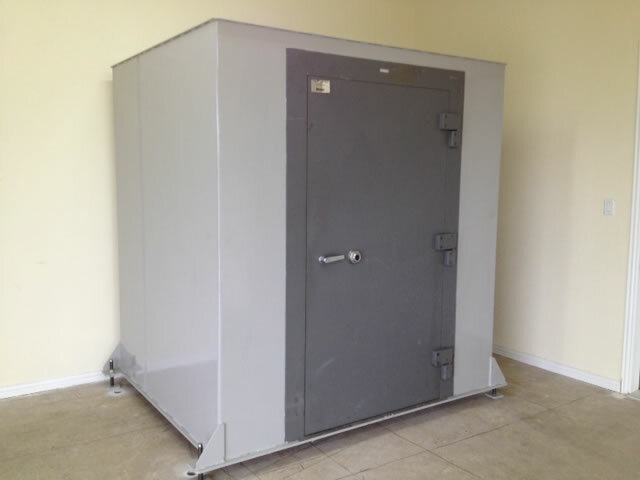 Custom can make a vault or storm shelter to your specifications using your door. 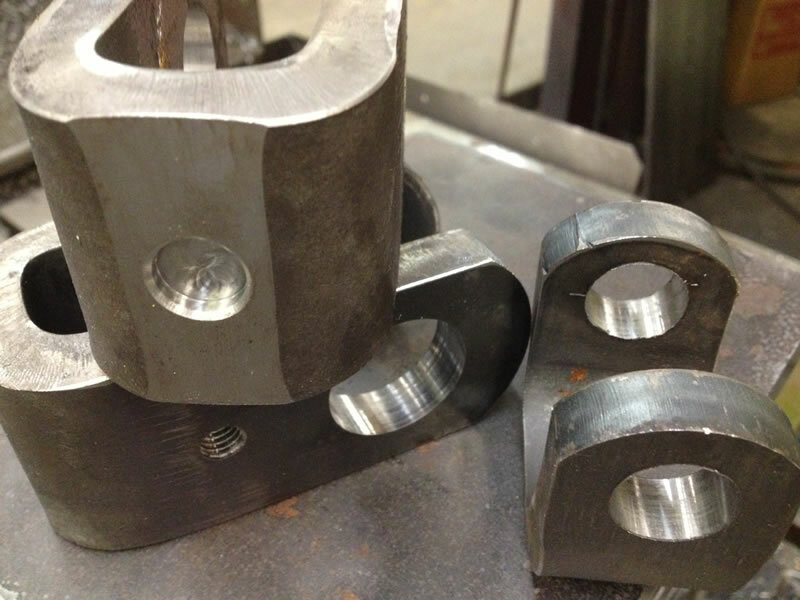 Custom makes a wide variety of parts for industry and hobbyist alike. 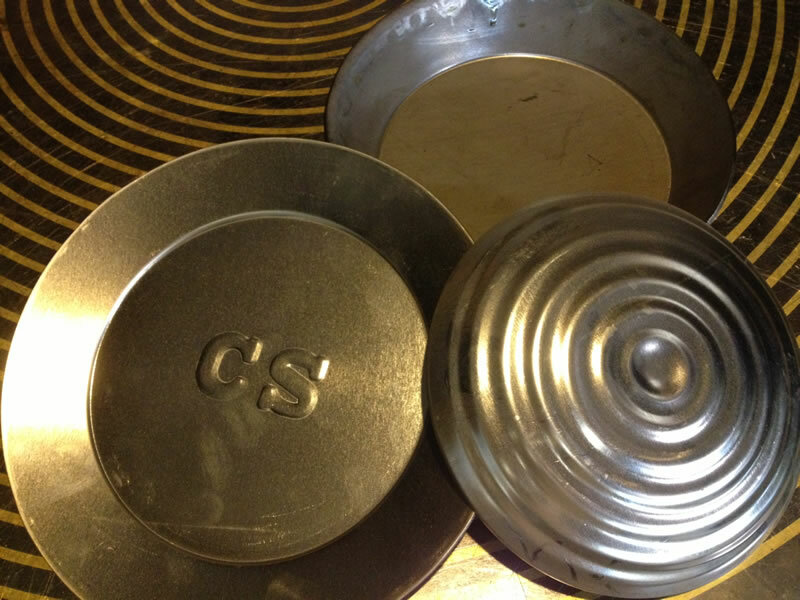 For the hobbyist, these include targets for marksmen, custom BBQ pit parts, boat lift parts, deer feeder parts, Native American headdress parts, reproduction Civil War projectiles, canteens, bean plates, and many more.